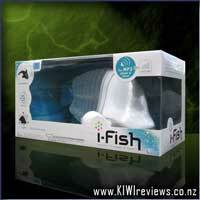 Plus-Plus is a new toy having gained a tremendous popularity over the last few years in its home base in Denmark. The success has been developed together with the leading toy retailers, specialty stores as well as with schools and other institutions. Made from food-grade approved Polyethylene, Plus-Plus develops the imagination and creativity of children and appeals evenly to boys and girls. 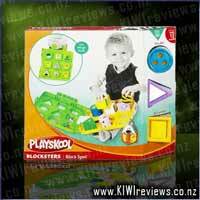 Once Plus-Plus has been tried out it becomes a kid&apos;s favourite, prompting hours of intensive play. This kit contains pieces made with the Pastel colours: Pink, Saffron, Sky Blue, Lavender, Pale Green and White, plus an instruction sheet. 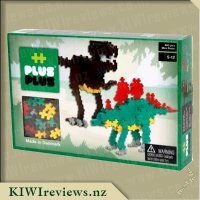 I requested to review these Plus-Plus blocks because my kids love Lego and building new things from nothing and I thought they might enjoy something similar but a bit different. I really wanted to see what they could create from their imagination with these blocks. My two kids are 3 and 5, so at the lower end/under the age range (5-12 yrs) for this construction set but trying to tell my 3 year old that he can&apos;t play with it is the equivalent of telling him the Easter Bunny isn&apos;t real so it was just easier to let him give it a go. My 5 year old jumped straight in and quickly figured out how to connect the pieces together. 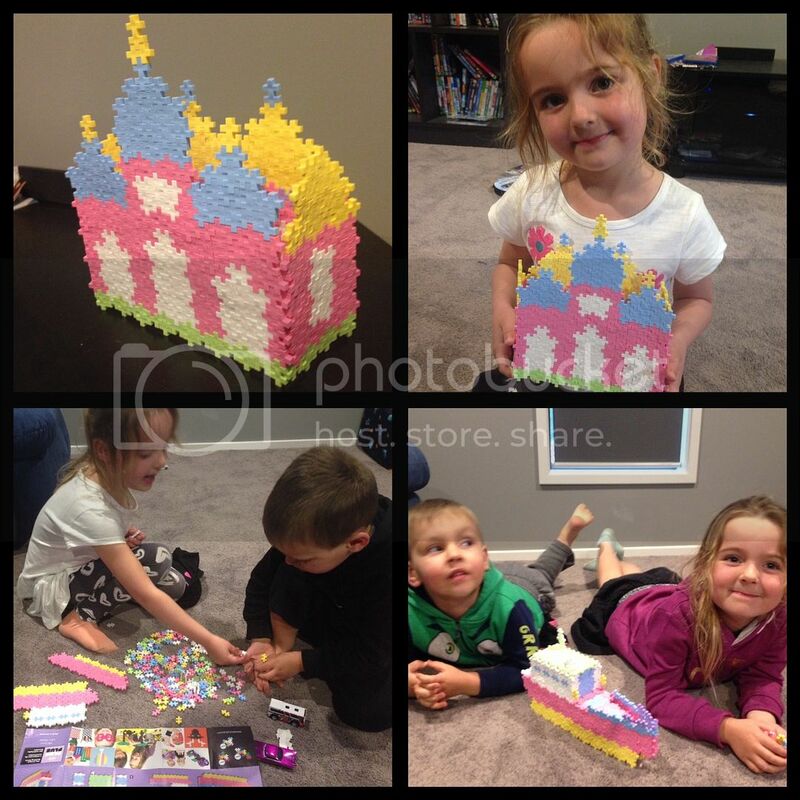 The first thing we decided to build was the castle from the instruction set and it went together with relative ease. I did have to join it all together once the separate parts were made as it was a bit fiddly to do without it all breaking but once it was together it looked really cool. The next night my son decided we had to make the boat and after a family effort it was done and a lot more solid and stable than the castle. My kids took turns playing with the boat for the rest of the night and it only broke just before bed time. I say broke but really one of the kids could easily have pulled it apart on purpose. All week it&apos;s been sitting out in the lounge and as soon as the kids get home from daycare and school they dump their bags in the entryway and run straight for the Plus-Plus blocks, they destroy what we created the evening before and start creating something new. I love that they are still so excited by these blocks and that it&apos;s making them think about what they can and want to create with them rather than just asking for the TV to be turned on. Overall I love how these blocks inspire creativity and they are an excellent distraction from doing household chores but I think you need at least two sets if you have more than one child (or an extra adult or two who want to join in the fun) just so you can have two projects going at the same time. I would have also liked to see a better mix of colours, there were only 5 purple ones (my daughters favourite colour) and heaps of pink ones. 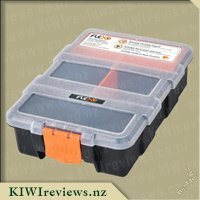 Would I recommend these to others? 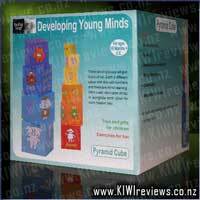 Definitely, they are great fun and you can build as far as your imagination allows. 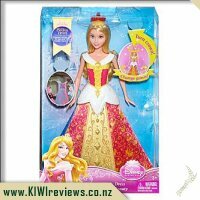 We were lucky enough to be given these by KIWIreviews and Miss 7 was so excited to see them come home, that the box was ripped into immediately. I noticed the box states from age 5 to 12, and I certainly felt like my daughter was at a great age to enjoy them. She didn&apos;t even notice the suggested pictures or the page of instructions and immediately started to join pieces together and create imaginative sculptures. I really admire her ability to see dozens of pieces all the same size, and understand the endless possibilities. Kids have great imaginations if we allow them to shine, and I could already see this product fitting the bill for this. 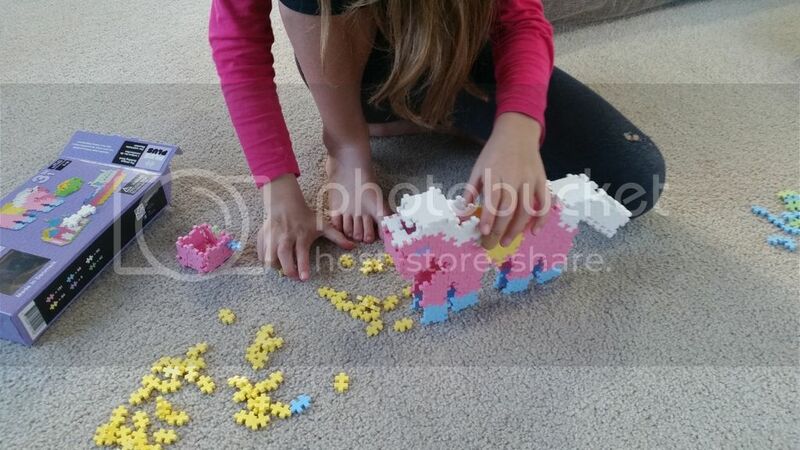 I noticed that the pieces were fairly easy to join, and when I showed my daughter how to bend them to pull them apart, this was easy for her little fingers to do. She spent quite some time sorting the colours into piles too which she really enjoyed and it gave her a clear vision of what she had to work with. She was definitely excited to see all the pink, although disappointed that purple was fairly minimal. I noticed all the pieces had pastel tones so it really appealed to my girly-girl. In saying that, it wasn&apos;t long before she&apos;d made a "shooter" so (without sounding too stereotypical) the possibilities span both boys and girls interests and a wide range of ages. 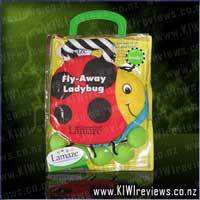 And other sets are designed to appeal to boys with different colour tones. As Miss 7 continued to build and create, she told me, "I love this", and I could see that she was really enjoying it. Finally after going freestyle for a while, she decided to build one of the pictures on the box - the horse, which I don&apos;t think was the easiest to start with! This was very much a daddy-daughter project and I don&apos;t think she could have followed the instructions on her own... even my husband struggled at times! But it was great for the 2 of them to have something to enjoy doing together. The finished horse wasn&apos;t quite the same as the box - partly because Miss 7 couldn&apos;t bear to part with some of the pieces from her other projects and partly because it was a little confusing in parts! But they ended up with something that certainly resembled the horse and opened up some further imaginative play as she played with her horse for some time. 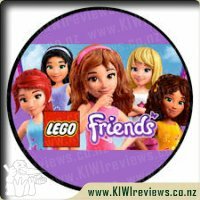 As an Early Childhood Teacher, I loved the world of imagination that this product opens up - the pieces are all the same and so it&apos;s all about what you can do with them as you join them together. Although an adult might look at this and not see the possibilities, children can do more than we give them credit for and my daughter certainly had no complaints about this product. And as a mum, I can see that this is a quality product that will never break and is something that children can come back to over the years. 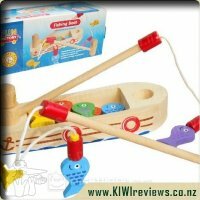 I recommend this as a product to enhance and expand little imaginations - way more so than other toys that steer children in certain directions or a really only have limited ways to use them. On this basis, this product is well worth checking out. 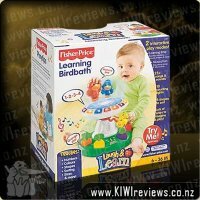 My granddaughter was born a couple days after we received the plus plus pack from KIWIreviews, so my daughter and her dad decided they would open it together while I was at the hospital with my son. My daughter had fractured her ankle a week and a half prior to this and it was the school holidays so she was really dying for some mental stimulation and fun that went way beyond the playstation, TV, and couch haha this plus plus pack was certainly the answer to that. 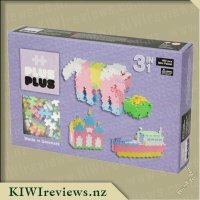 According to the box it is suitable for ages 5-12 years and is a 3 in 1 set, so there are 3 different things that can be made. My daughter is 9 so going by the age range, she is the perfect age. The box contains everything you need to make the 3 designs using the unique building bricks. The instructions are picture instructions rather than words, so you have to check the pictures to see what goes where. My husband said this was quite a difficult process. The bricks in the pictures are very small, and it is really hard to see what exactly goes where and how to do it. Between the pair of them they managed to build the horse, but in the end, they did not follow the process shown in the pictures, but rather built one side and then copied exactly what they had done to complete it. You need pretty good eye-sight to follow the instructions unfortunately, and at one point they even resorted to taking photos of the instructions on his phone and then zooming in on the pictures in order to see them better. This was the only issue that was mentioned by him to me though. The little bricks are plus type shapes that easily clip into each other. The colours are vibrant pastels that my daughter said were just beautiful. The pieces are really durable too which surprised me to be honest, and they are reasonably small pieces of a bit over a cm or so in size, so can be a bit fiddly to work with. With time and patience you get a really cool completed project though. However, once completed miss 9 did not want to dismantle it to make any of the other designs, because she really loved the horse, and it was not really an easy project to do as it was. We opened this box of plus plus when we had some friends around. My 4 year old was really keen to make the pink horse. When we opened the box though, we found we didn&apos;t have instructions on how to make the horse. We did get a pamphlet in the box, but it had a spread of two pages worth of other smaller projects. There was a crown, a ring, an Alice band as well as a bracelet. My friends started to separate all the colours into piles. One of my friends loves doing this, and found it interesting how the colours weren&apos;t even. Her favourite colour is purple so she was disappointed that there were only 5 pieces of purple in the box. Especially as the instructions for one item showed a lot of purple being used. However, we saw that on the box, the amount of blocks per colour is clearly marked and you do only get 5 of the purple. This was good at least, though we really wished there was more purple. While another friend was busy analysing the pony and all it&apos;s parts from the picture on the front of the box, I got busy making things too. 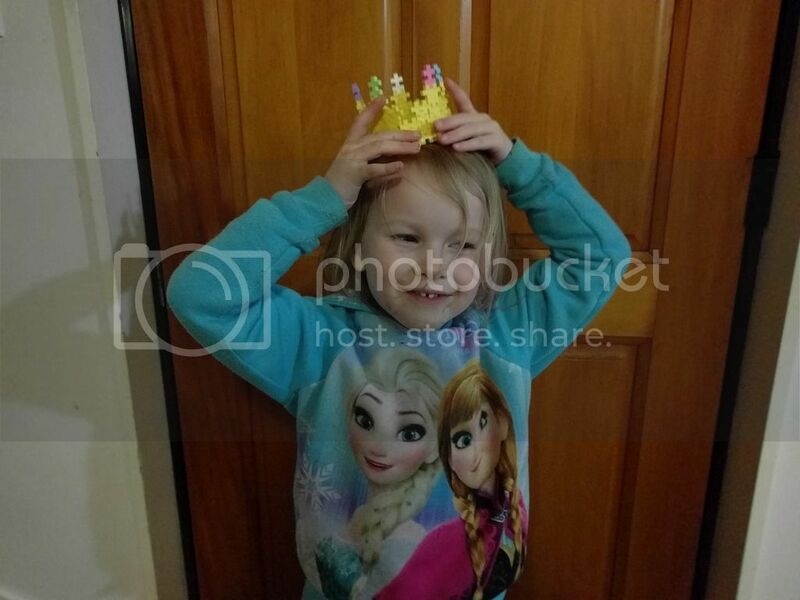 Miss 4 asked for a crown, and a ring and a few other things. I found the pieces were easy to use, and once you got the hang of the way they hung together the instructions were easy to follow, even with my old near-sighted eyes. The crown was really cool to put together and it was magical how it could curve and hold it&apos;s pieces together too. My husband was really impressed with it. My friends managed to make a few horse legs as a trial and they ended up being boxes for Miss 4&apos;s treasures. She got busy making sugar cookies by clipping together a few of the blocks. She also made a "family finger". So she sang a rhyme she knows and for each verse she added a new block. She did at first find the blocks difficult to master, but once she got going, she was a very busy creator for the rest of the evening. This is a good all-round product. We found that everyone wanted to play with it, and in their own ways. It entertained four adults and two kids for quite some time. I&apos;m an instructions person, so I would have loved a few more projects on the pamphlet. For my kids, they loved how flexible the product was. You could do two dimensional or three dimensional builds too. So many cool ways to play! Having a family of Lego enthusiasts it seemed only natural that I would put my hand up for this product. The colours instantly grabbed my eye and I fell in love with the purple straight away and was a little disappointed after receiving the pack to find that there was only 5 pieces of this colour. It was the one colour that caused the fight between my girls and myself - luckily there were other options with the pink having 191 pieces, blue having 68, green having 42, yellow having 84 and white having 90 pieces to cater for our needs. It did not take long to figure out how to use this product and how to connect the pieces. My husband got to work and built the castle straight away while the girls were having fun building picture frames and straight lines. I decided to be clever after everyone had finished and build a pair of glasses for myself. It turns out it was easier thought of than done. There is a leaflet included that shows pictures of finished products and a brief break down of what to do but it was not completely explained especially when it came to building 3 dimensional products. I quickly learnt the more blocks you use the stronger it makes the item. Having only one layer will automatically break if you try to pick it up so adding a couple more lines to make it thicker and sturdier helps immensely. We have had a lot of laughs over the past week especially with my two girls aged 7 and 4. Technically this is aimed for 5 to 12 year olds but try telling a 4 year old that. Today while the girls were busy tackling other craft objects I decided to sit down and have a proper play. The ship automatically appealed and I quickly built the templates as suggested by the plans. That was extremely easy just a little time consuming as I was constantly pulling pieces apart that had already been used and I hate the fact one side says Plus Plus it drove me crazy making sure I was attaching the clean side - really not every piece requires the branding. Once built I was a little puzzled at how to join it all together. I quickly learnt that it does not connect very well when dealing with connecting two standing pieces and found it was extremely fiddly, so much so I relented and had to ask for some expert help, with a cheeky grin he happily obliged by telling me how to do it. As I suspected not everything is required to be joined. As much fun as this is I think I will stick to Friends Lego when it comes to major construction. However in saying that it will definitely be used in the future but I think more so in a 2D kind of way at this stage. I like how all the pieces are the same shape so you are not having to constantly look for the right piece. Its just unfortunate that the colours are not spaced out more evenly. It has the potential to build some amazing objects especially since you can manipulate it by turning in whatever direction you require but it is extremely tricky when dealing with confined spaces. But it is still a great toy. 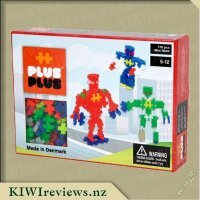 My kids are all Lego fans so when I was offered another construction product called Plus-Plus to review I knew my kids would be keen. My review assistants were an eight year old girl, her 6.5 year old sister, 2 girls that were 5, and a 5 year old boy. 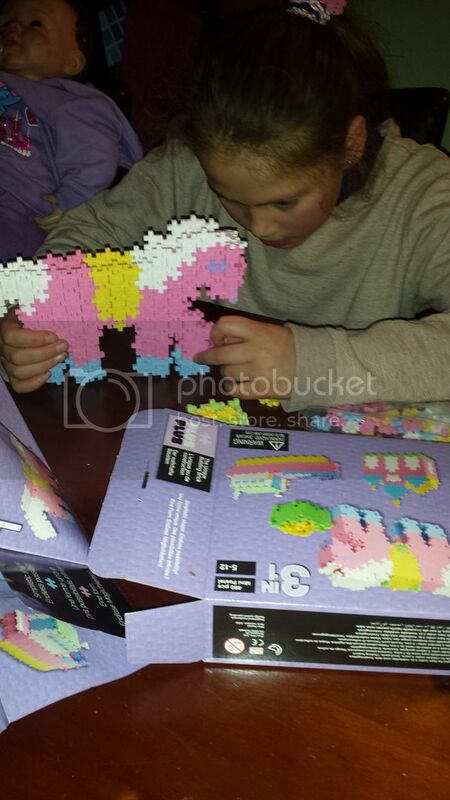 The pack I was given was the pastel 480 piece one and all the kids seemed excited to have something new to build with. The box contained the 480 of the same piece (size and shape) in six different colours. The box stated how many there were of each colour and it seemed strange that there were only 5 purple, yet there were 191 pink. The other colours were all somewhere in between. This distribution of colours was probably chosen with certain projects in mind. There was also an instruction book for the three projects shown on the box as well as photos of several other projects made with these and other kits. I found that the instructions were easy to follow diagrams but I needed my glasses to see the individual pieces in the photos. None of the children had the determination to do any of the main projects. I did however make the horse&apos;s feeding trough which was the simplest of them all. As I was playing with it for the first time I decided to make a pair of glasses for myself which was a bit of a challenge but I got there. One of the younger girls hadn&apos;t seen the glasses I had made but I had shown her a photo of me wearing them. She was made two different pairs of glasses by herself and was very pleased with herself (unfortunately I can&apos;t post her photos on here as she isn&apos;t my daughter). The other children all preferred just to stick pieces together and make long lengths (or snakes) and rectangles. They all enjoyed it and I am sure the more they play with it the more diverse things they will create. We all found it was easier to work at the table or a hard surface so we could push the pieces together properly. The other thing I made using the photos as a guide was a pen holder. I used a tin to shape the pieces around. After a couple or rounds I discovered I had made a bangle which fitted me well but would need some pieces removed to fit one of the children. I continued building it up around the tin. I could not work out how to make the base of it. This is a limitation of this product since all the pieces are the same it is hard to create a circle. Is this a product we will continue using? 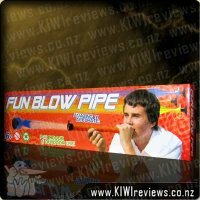 Definitely yes, it is built to last and the kids enjoy it as a change from Lego. Would I recommend it to others? I&apos;m not sure as although it is fun I think Lego is more versatile. Be like the invincible Iron Man when you disguise yourself with this adjustable mask. 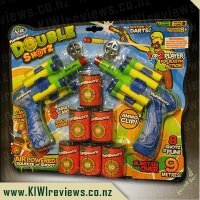 Load the disk-shooting gauntlet blaster and the bad guys don't stand a chance as you take aim at anything that stands in your way. Blast six repulsor disks at your target and let them know that Iron Man is here to save the day! 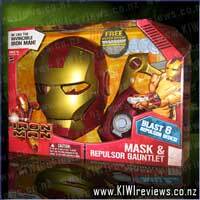 Mask and gauntlet come with 6 repulsor disks.